Place your predictions for the Super Bowl finalists on Intertops’ Facebook page to enter a draw for 3x $50 NFL Free Bet! Intertops Sports brings you a unique chance to get three separate NFL Free Bets worth $50 by going on their Facebook page and posting your correct tips on the teams that will make it to Super Bowl LI from this Sunday’s final four: Atlanta Falcons v Green Bay Packers & New England Patriots v Pittsburgh Steelers. Hit the ‘Like’ button on Intertops’ Facebook page. Place your predictions on that teams that will seal victory in their respective games at the Georgia Dome and the Gillette Stadium (example: ‘Packers and Patriots’). NOTE: please make sure to include your Intertops Sports username on their Facebook page to ensure that you enter the draw for the NFL Free Bet! Make a minimum wager of $25 on any sporting event with the US online sportsbook until this Sunday (January 22), with minimum odds of -200 (1.50) to qualify for the 3x $50 NFL Free Bet. Make your predictions and get your $50 NFL Free Bet! Intertops Sports offers even odds for each of the four final teams to reach Super Bowl LI, however most American Football outlets are convinced the Patriots will qualify from this Sunday’s game at the Gillette Stadium, while the Packers will likely be the ones to join them from their encounter at the Georgia Dome. The New England Patriots have lifted the Vince Lombardi trophy in four occasions in the team’s history, with the last time being in 2015 – Super Bowl XLIX. If they manage to make it to the NRG Stadium on February 5, and go on to defeat the opposing team, the victory would put them on par with the Dallas Cowboys – a team that have won five Super Bowls. But even if the Patriots win Super Bowl LI, they would still be one short of matching the most successful NFL team, that boast six Super Bowl victories – the Pittsburgh Steelers. Make your predictions on Intertops’ Facebook page before January 22 for a chance to get your hands on $50 NFL Free Bet! 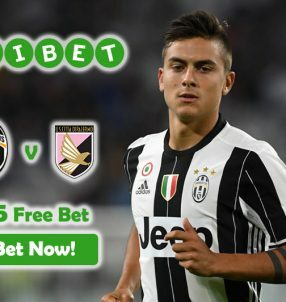 Don’t forget to use those Free Bet funds on other great sporting events at the US online sportsbook to capitalize on your betting efforts. 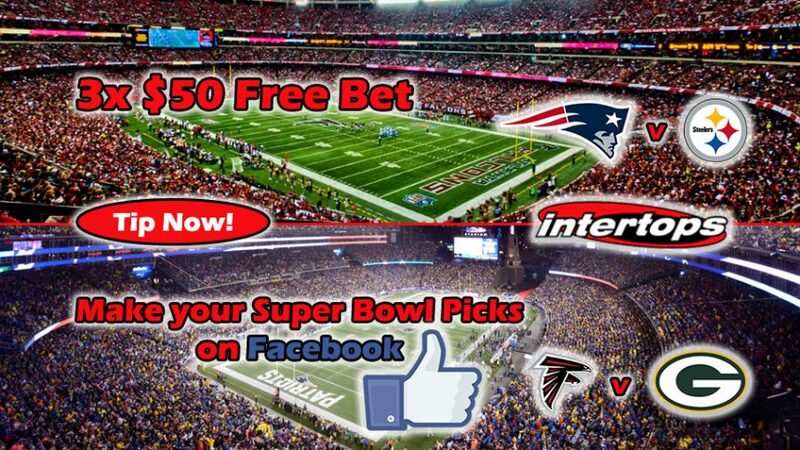 Get $50 NFL Free Bet with your Super Bowl LI picks on Facebook!